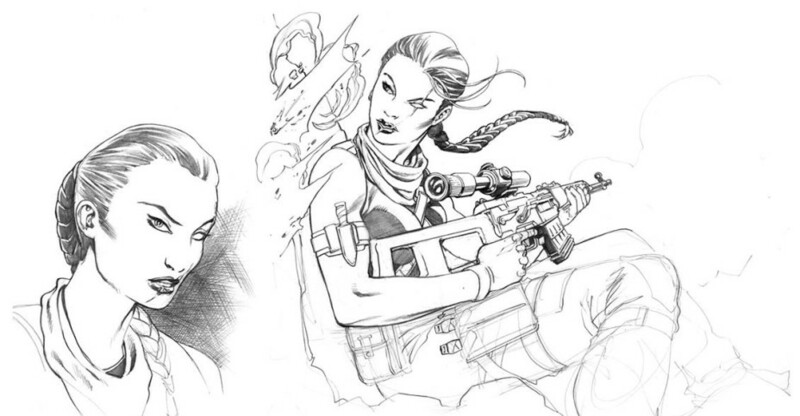 Hasbro Pulse has given us an in depth look at the creation of Stiletto, an all new G.I.Joe character brought to life by Bill Nedrow via Kindle Worlds. You may recall that Hasbro ran a contest, where one lucky winner would have their character brought to life in modern action figure form. Every good story starts with strong characters, and every character must start with a purpose. I never set out to create an action figure; I wrote with the intention of crafting the type of G. I. Joe story that I’d always dreamed of reading. I’d hoped that G. I. Joe: First Salvo would resonate with other fans of the franchise, and when the overwhelmingly positive feedback I received informed me that it had, I began G. I. Joe: Honor. Along the way, I continued to try to craft a character-driven narrative that would stay true to the rich mythology of the brand while still providing a take on the story that was original and unique. Thanks to Bill, Hasbro and Kindle Worlds, we now have our own Stiletto figure. The entire article is a fantastic read and definitely something you’ll want to check out for yourself. Once you do, join us after the break for discussion already in progress. With her facial scar, dead eyes, and streak of white hair – as well as her mysterious past and knife-edged battle skills – Stiletto makes even the G.I. Joe team a little nervous. She joined the team alongside Cobra defector Felix “Mercer” Stratton action as his bodyguard and has since become a strong asset to the team. With skills that hint at Special Forces training, she is proficient in most small arms weapons and an expert in the use of bladed weapons. Related BBTS Links: G.I. Joe Heavy Conflict 2-Pack, All G.I. Joe BBTS Exclusives, All G.I. Joe 50th Anniversary Products, All G.I. Joe Products. 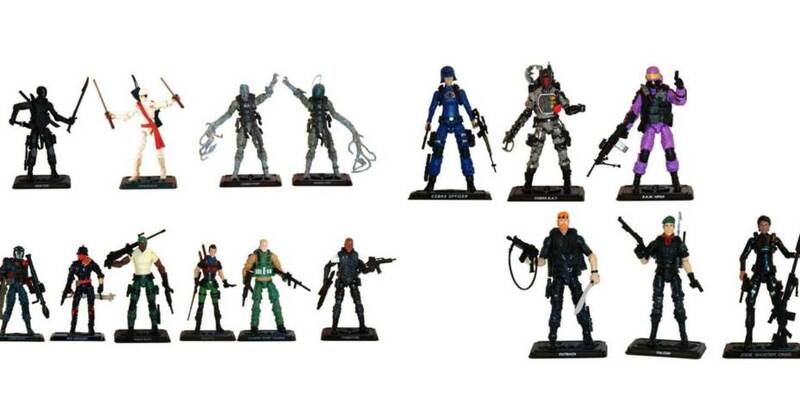 New G.I.Joe 50th Anniversary Assortment In Stock and Shipping at BigBadToyStore! 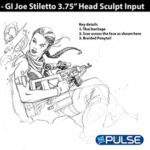 Thanks to HissTank.com forum member Digital Ghost for informing us that Hasbro’s Pulse has posted a few images of their upcoming Fan Choice winner Stiletto from Amazon’s G.I.Joe Kindle Worlds. Set for a November release as a Toys R Us exclusive, Stiletto is Bill Nedrow’s character and you can find all his work on Amazon.com. Last November the G.I. 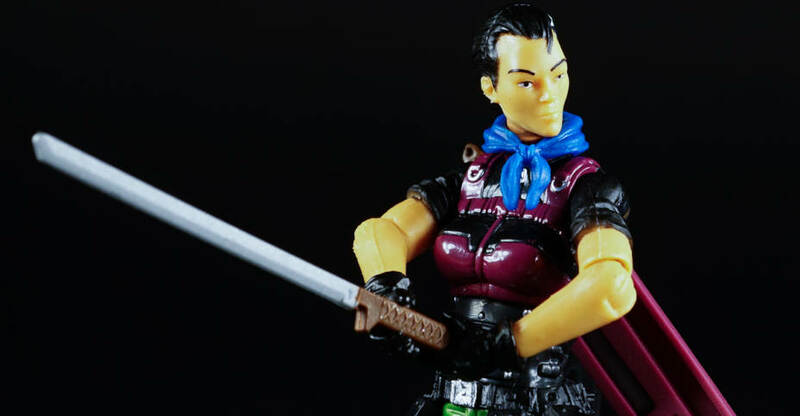 Joe fans voted through the Hasbro Pulse to choose a brand-new figure for the 2016 lineup based on three eligible characters from the fan-created stories available on Kindle Worlds. There are over 100 unique fan-authored G.I. Joe stories available on Kindle Worlds, and the character Stiletto (from Bill Nedrow’s G.I. Joe: Body Count) was the fan-voted winner. Senior designer John Violette took the character description from Nedrow’s story and got to work. We knew the Stiletto figure would be unmistakeable facially, with a white stripe of hair in her braided ponytail and a diagonal scar running across her mouth and left eye. Well-known G.I. Joe artist Robert Atkins prepared the initial pencil sketches for Stiletto, which were adapted into the original head sculpt. Brand writers started building her filecard, and an illustrator designed her overall image. With the head sculpted, an initial deco mock-up was created. While the first concept celebrated Stiletto’s heritage with traditional Thai colors, the overall look felt more ninja-influenced and didn’t give off a strong enough tactical vibe. A simple arm-swap improved the feel of the figure, and a new deco treatment was created as well. You can sneak a peek on the finished artwork that appears on the filecard. Stiletto will be available this November at Toys ‘R Us and online through Entertainment Earth. Stay tuned to the Hasbro Pulse for more G.I. Joe news and notes, and we will look forward to seeing you in June at JoeCon 2016! You can check out the original story by visiting the G.I.Joe Kindle Worlds Stiletto article. Join in on the discussion and check out more images after the jump. Stiletto was selected from Bill Nedrow’s “G.I.Joe: Bodycount” novel and we couldn’t be happier for him! 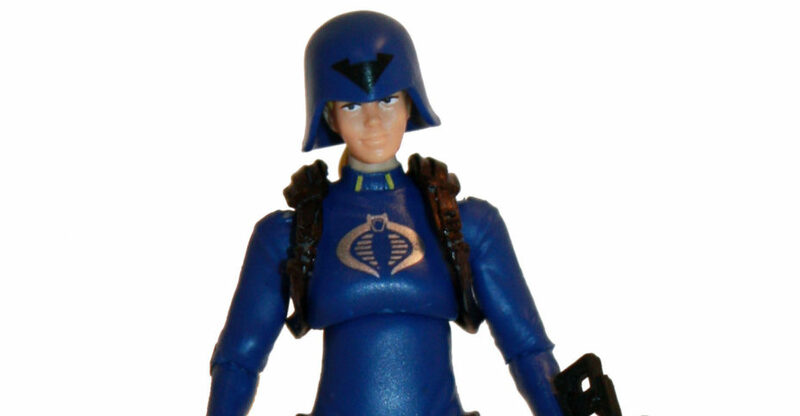 His character will make her debut in 2016 in the G.I.Joe toy lineup (yes, you read that right, there’s a toy lineup for 2016!). G.I. JOE fans made their voices heard this last week, voting for their favorite new character to join the 2016 G.I. JOE toy lineup. Four characters (Adventure Team Marcus, Cobra Blackjack, Cobra Whisper and Stiletto) were selected from the 90+ original G.I. JOE stories available at Kindle Worlds and the fans spent a week discussing, campaigning, and ultimately voting for their favorite. The one-week voting campaign garnered thousands of individual votes and stimulated some meaningful online conversation. Our thanks go out to the G.I. JOE community, to Amazon.com and their amazing Kindle Worlds program, and especially to the four authors whose unique characters sparked such impressive feedback. If you haven’t yet, make sure to grab your copy of Bill’s novel, G.I.Joe: Body Count. You can also see the original announcement over on Hasbro Pulse. On behalf of HissTank.com, I’d like to wish Bill a huge CONGRATS! Thanks also go to Hasbro and Amazon for letting our voices be heard! You can join in on the discussion already in progress after the break! G.I.Joe Kindle Worlds Fan Vote Ends Today! 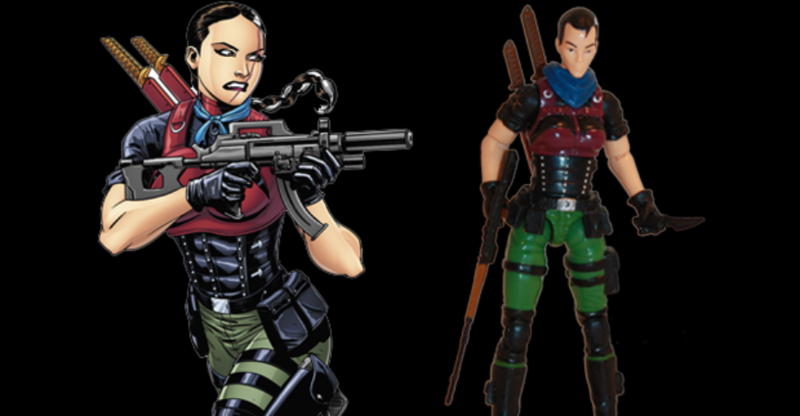 Don’t forget, everyone – The G.I.Joe character fan vote on Hasbro Pulse ends TODAY! We’re sure you’re more than aware of the voting by now, but in case you aren’t, then here’s a quick run down on what the voting’s for: The characters that fans will be able to vote on are never before released characters from the G.I.Joe Kindle Worlds universe! We’re not sure what time the voting closes (if it hasn’t already), so there may still be time! Go get your vote in at the Hasbro Pulse G.I.Joe Fan Vote Survey page, then join us after the break to let us know who you voted for! 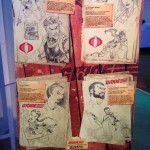 Destro is at the 2015 NYCC Hasbro Party and has posted images of the upcoming G.I.Joe character fan vote coming soon on Hasbro Pulse! The characters that fans will be able to vote on are never before released characters from the G.I.Joe Kindle Worlds universe! We’ve gathered images of not only artwork, but their bios as well, so make sure to join us after the break to check out this cool upcoming fan vote! Don’t forget, we’ll be coming to you LIVE from NYCC 2015, so make sure to check out our sister sites – TFW2005.com, TokuNation.com and ToyArk.com for complete collectible coverage from this year’s event!